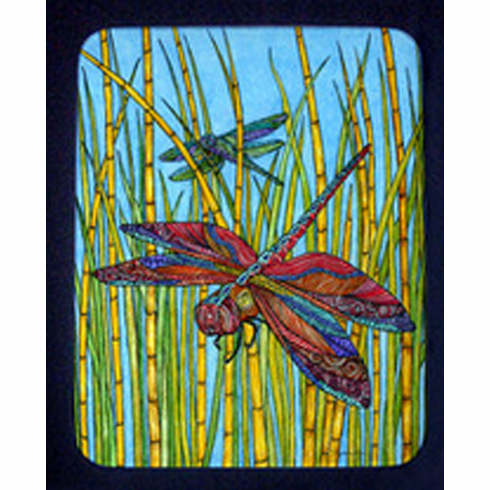 Dragonfly Cutting Board - Trivet - Made of tempered glass so can be used as a hot plate, cutting board, trivet or cheese board. Tempered glass resists stains, odors & bacteria. Rubber feet hold it securely on counter tops. Great house warming, hostess or wedding gift. Hand wash in warm water. Measures 8 " x 11".